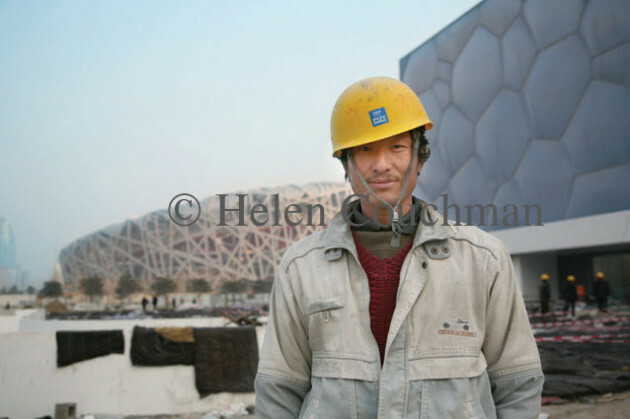 In December 2007, during her third extended visit to Beijing, Helen Couchman photographed a large group of Chinese workers engaged in construction work in preparation for the 2008 Olympic Games. 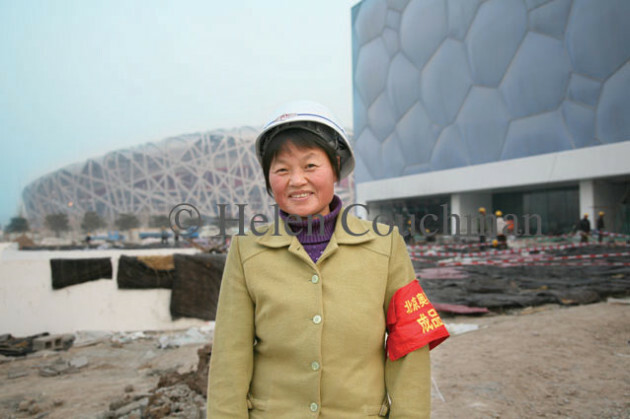 Couchman chose a specific group of labourers, those building the vast bird’s nest stadium and swimming pool. The 143 portraits that resulted each show a single worker standing in front of these incredible structures, looking calmly, confidently and directly into Couchman’s lens. 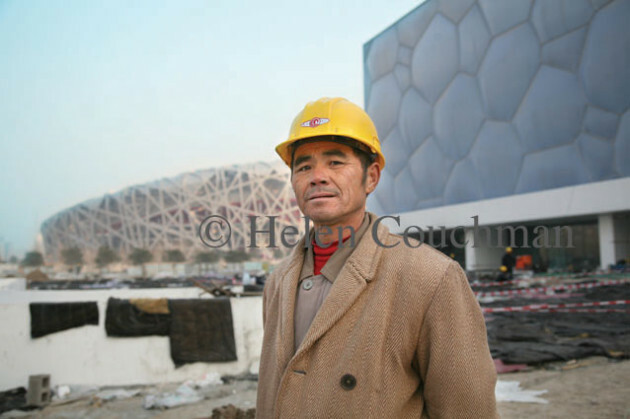 But although she has photographed 143 individual men and women working at the Olympic site, the artist has, in a certain sense, taken only a single portrait, that of the worker engaged in making the Place of the Games. 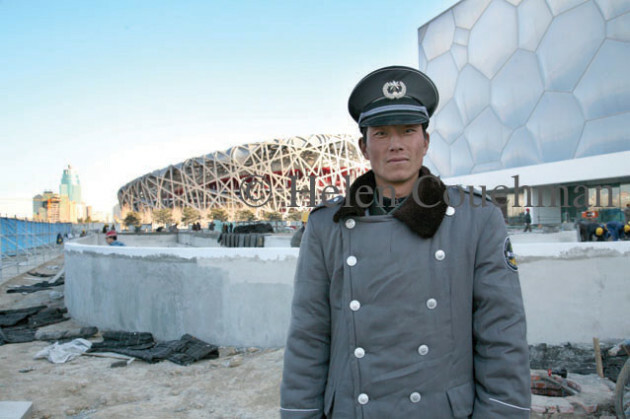 This location is, by definition, at the very heart of what has been regarded by many, both in the East and in the West, as the greatest event in China’s history since the Communist Revolution of 1949. An important feature of these photographs is that, irrespective of their archival value, they were taken without involving the authorities. 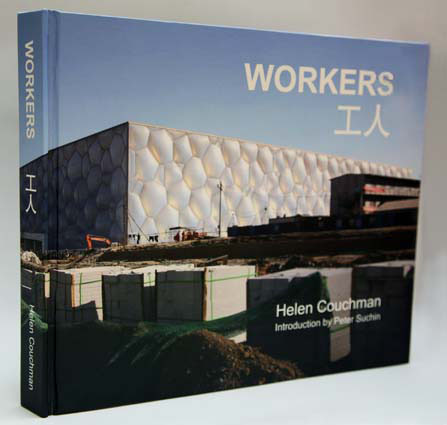 Couchman simply asked the workers themselves if they were willing to be photographed. What these pictures exemplify, then, is an independent project of observation and recording. Taken over two successive days, they are the product of an approach that is both casual and accomplished, ordered and organised yet open to the particular moment of their unusual circumstance. 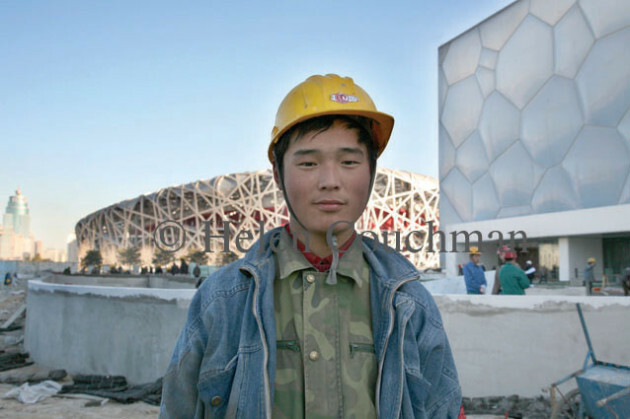 Each participant within WORKERS 工人 was asked to stand in roughly the same spot as all the others, with the Olympic stadium and pool clearly in view behind them. 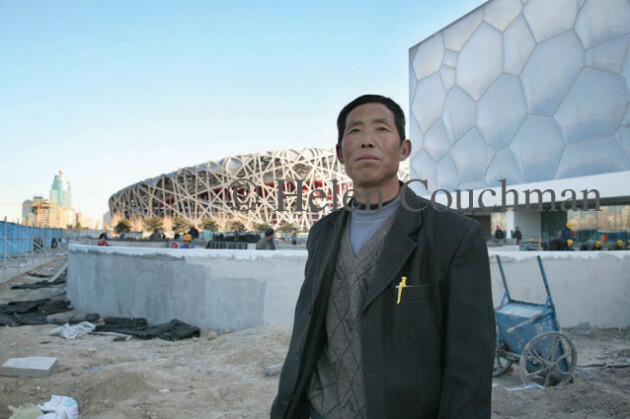 Couchman gave each worker a print of their own portrait for them to keep or to send home to their families outside Beijing. Thus the taking of these pictures involved a marked act of reciprocity and exchange. That Couchman supplied each individual with a copy of their portrait was significant and important, both for the artist and for the workers themselves. By this means Couchman addressed one of the most persistent functions of photography, that of establishing visual evidence, proof, in the present case, of having played a small but by no means insignificant part in something of major cultural, historical, and political importance for China, and for the West as well.